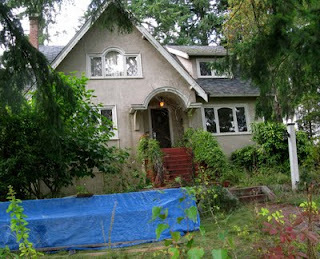 This was a luxurious home in 1929, built on a 60 by 140 foot lot, with no lane in the rear. It has been replaced by a larger house, but will more people live there? 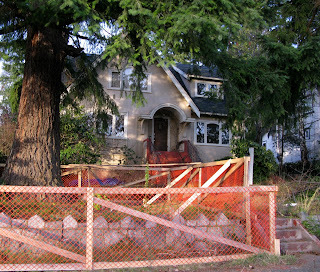 Houses on corners are vulnerable to demolition, and that happened to this house, which appeared to be in good condition. 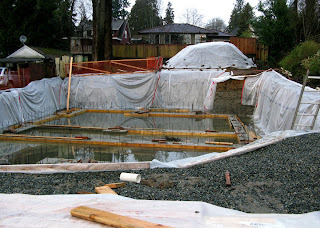 The lot is 50 feet wide, but the new house has a larger footprint than the previous one. 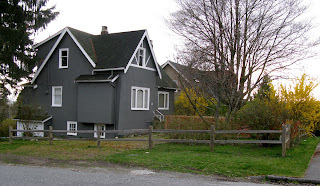 Although this third house was on a corner bordering 41st Avenue, it was effectively shielded from the busy street by a screen of trees, now removed. 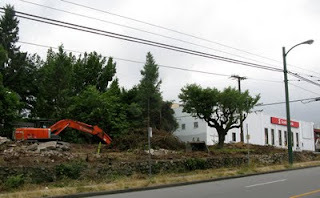 The wide lot was recently subdivided, so there could be two houses constructed here. 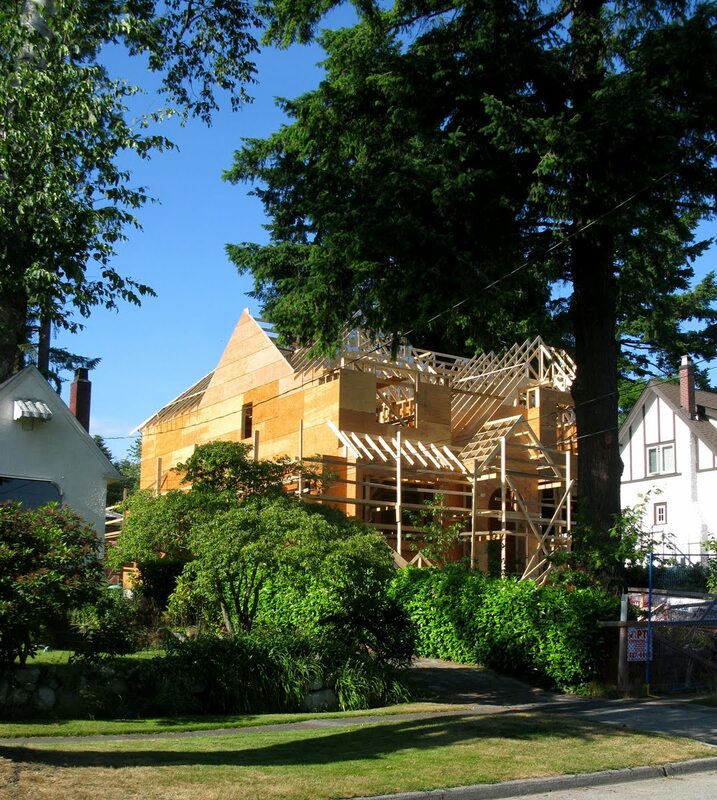 Zoning does not allow for a more energy-efficient duplex or triplex (which could still allow decent green space due to the size of the lot), but the location would be a candidate for more density since it is near commercial buildings and an express bus stop. 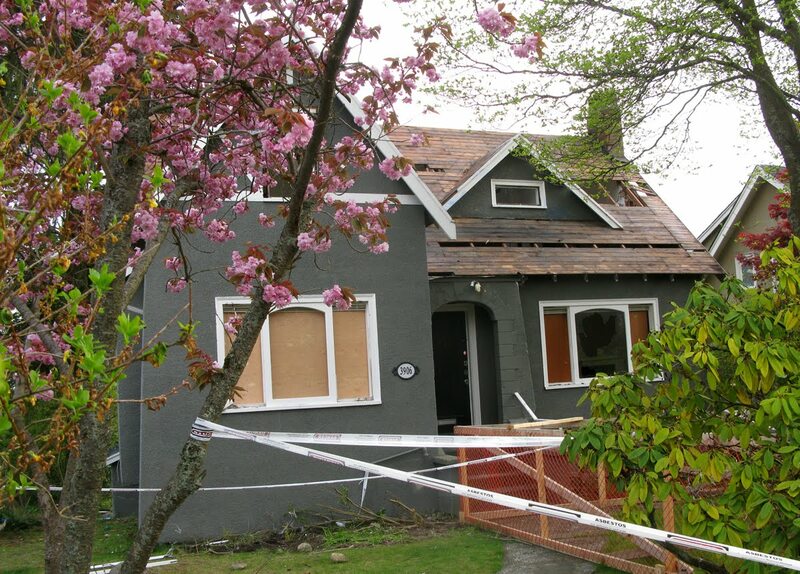 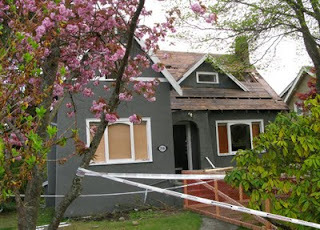 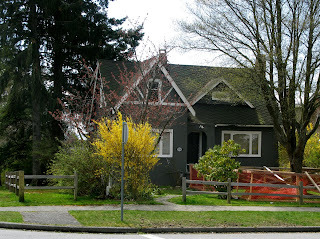 The Vancouver Courier columnist, Sandra Thomas wrote about her house being for sale and likely being torn down. 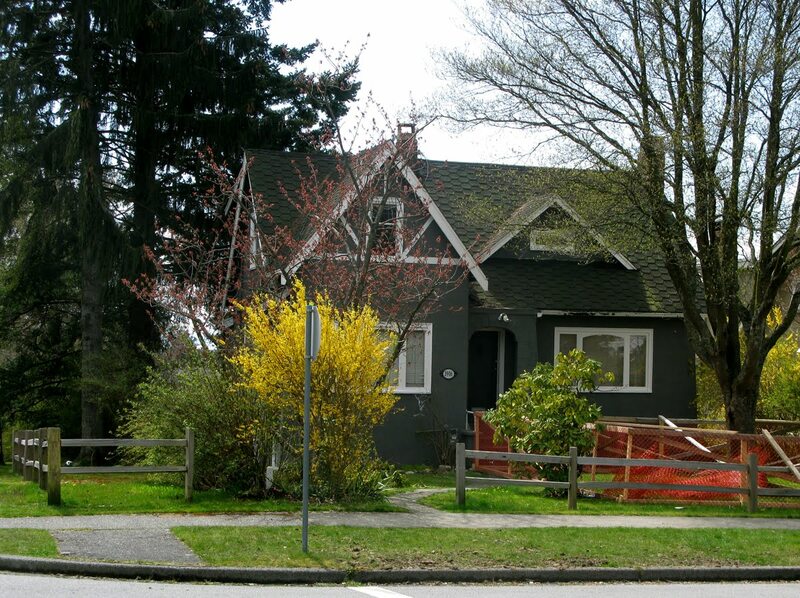 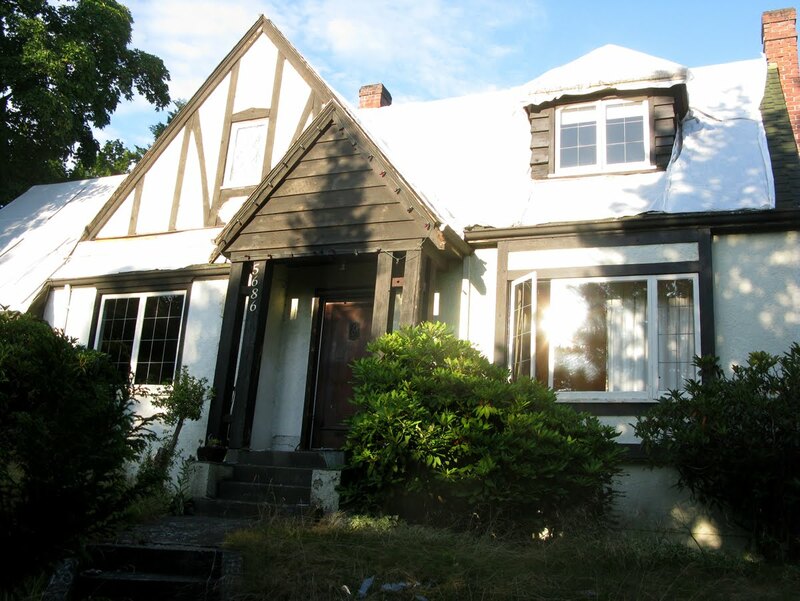 In response, Peter Ladner wrote a letter to the Vancouver Courier, stating that the City should "require any teardown to be replaced with a duplex or triplex". 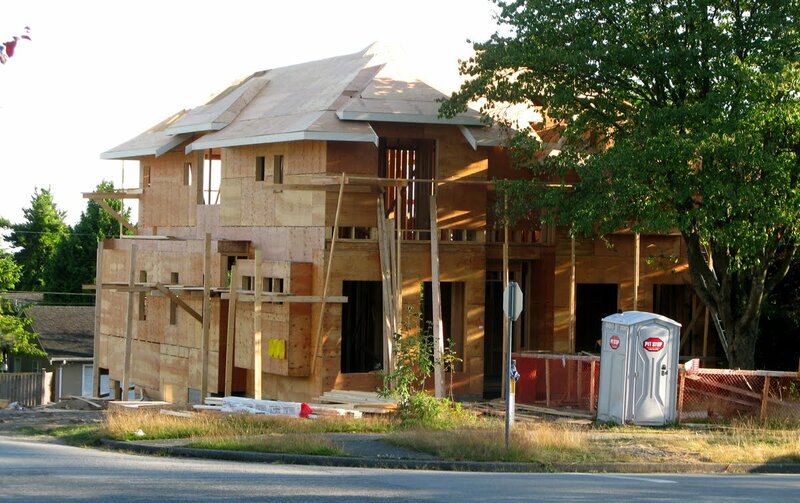 The latest Vancouver Courier has a followup letter, pointing out that demolishing houses produces a lot of garbage and does not get us closer to providing affordable housing. Usually, getting more density requires a trade-off with green space. 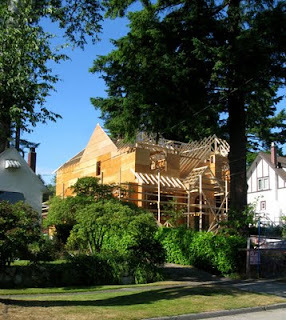 But in the Dunbar area, with our current zoning regulations, there are numerous lots where we are losing double--we are losing both green space and density.